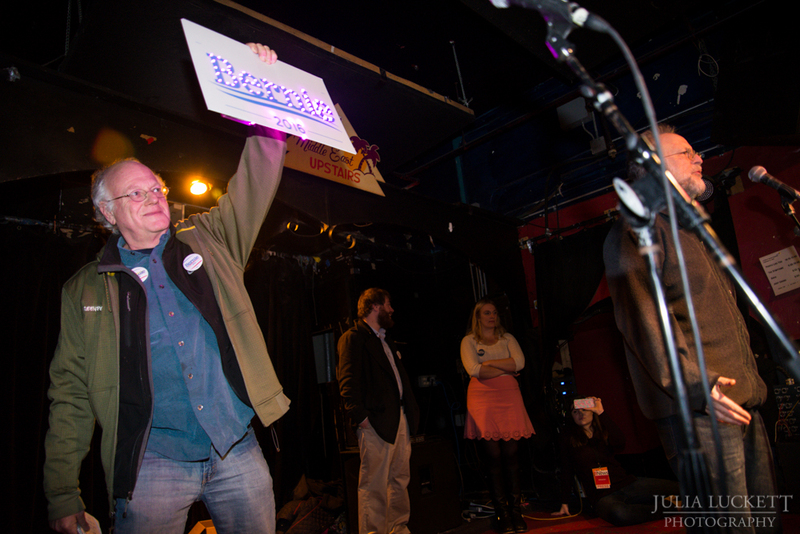 After following Ben & Jerry in NH, I had the opportunity to reconnect with them again when they visited Boston! After a morning of interviews, Ben & Jerry held the world premiere of the “Bernie’s Yearning Sundae” on Boston’s own Newbury Street. Outside of the Ben & Jerry’s Ice Cream store, a large crowd gathered to sample the treat and show their support for presidential candidate Bernie Sanders. The sundae is vanilla ice cream topped with a chocolate disk, meant to symbolize the concentration of wealth among the country’s highest earners. To eat the sundae, you need to smash the chocolate disk and mix it into the ice cream, a delicious metaphor. Boston’s Metro newspaper announced the event, and used one my my images! Later that evening, I met up with Ben & Jerry at the Middle East Nightclub in Cambridge. 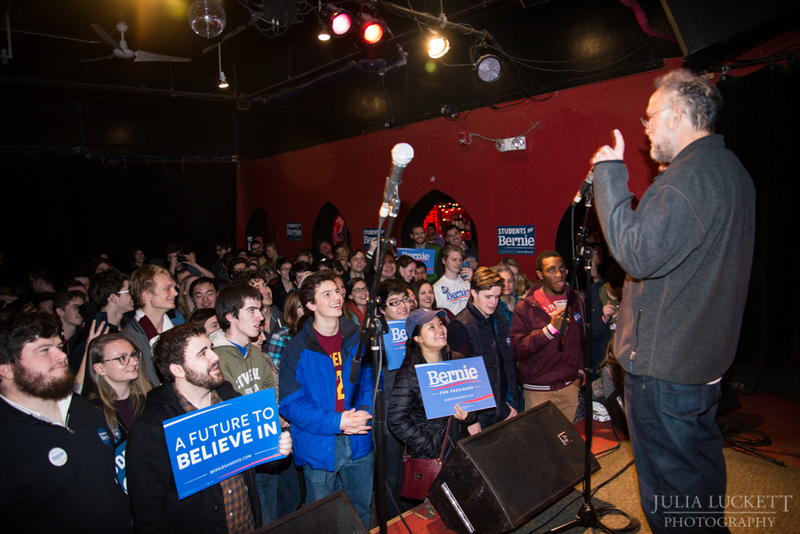 Several hundred students gathered at the rally to hear Ben & Jerry speak, sample free ice cream and sign up to volunteer with the Sanders campaign. 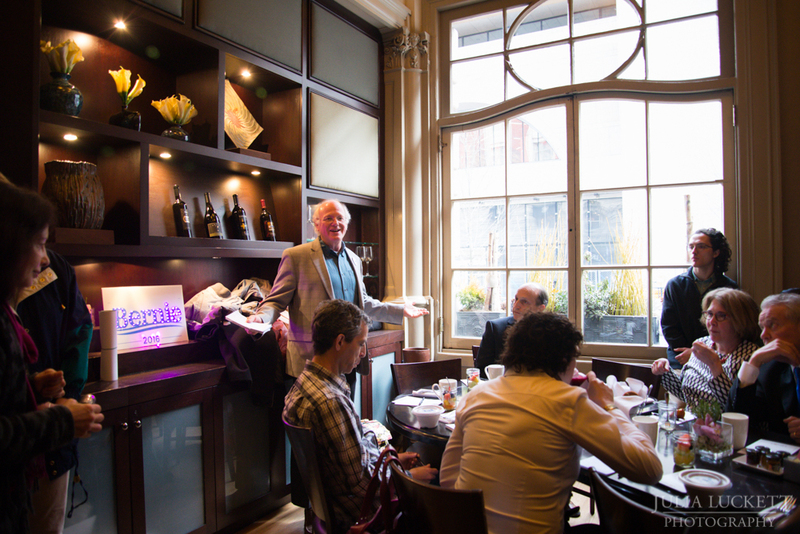 The next day, Ben & Jerry hosted a breakfast meeting with local business leaders at the elegant Lenox Hotel. As with most events Ben & Jerry host, there was free ice cream: this time, they featured Coffee Coffee Buzz Buzz Buzz to give everyone an extra caffeine and sugar jolt. Senator Dan Wolf was in attendance, and spoke at length on why Sanders’ policies would be good for local business, our future economy, and tackling the threatening issue of global warming. This was a progressive and productive conversation among Boston’s local leadership. Tomorrow is Super Tuesday, a big day for the presidential primaries. No matter who you support, make sure you get out and vote. Learn about voting in Massachussetts here, and voting in Vermont here. To see all the photographs from the day, click here!